The system configuration files included asterisk configurations are stored into database first and then logistically generated by the background applications. If you would like to manually modify the configurations in /etc/asterisk/, the configuration file will be updated when customers apply the changes on WEB GUI next time. Reboot the device will result in the update of configuration file as well. Namely, the customized modifications by clients can&apos;t be saved successfully. If you want to save the user-defined data, you must save it to the database. 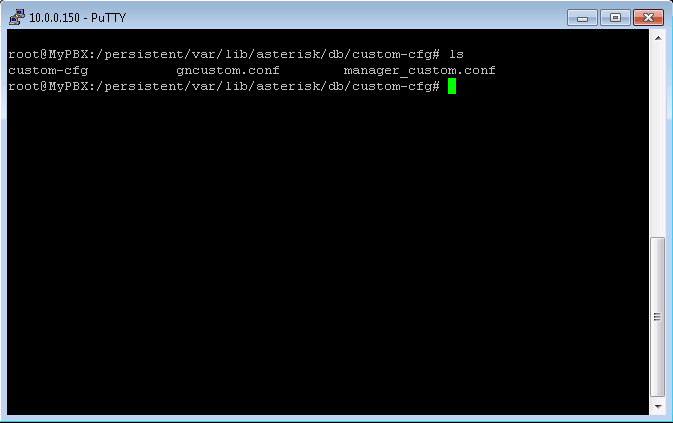 In the directory of &apos;/persistent/var/lib/asterisk/db/&apos;, you may find a directory &apos;custom-cfg&apos; to store user-defined data. You should place an appropriate configuration file under this directory. Modified data must saved in &apos;/persistent/var/lib/asterisk/db/custom-cfg/manager_custom.conf&apos;. 1. Go to WEB GUI -> Network Preferences -> LAN Settings. 3. Remember the SSH port number. 4. Save and apply the changes. 1. Go to WEB GUI -> Security Settings -> AMI Settings. 2. Specify the user name: ami (you may change the user name, but remember it. It will be used below). 3. Specify any strong password. 4. 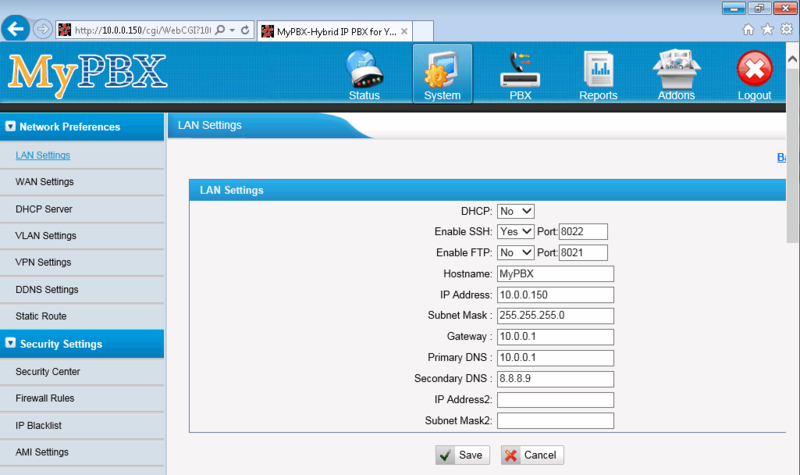 Specify the permitted IP address and subnet mask. 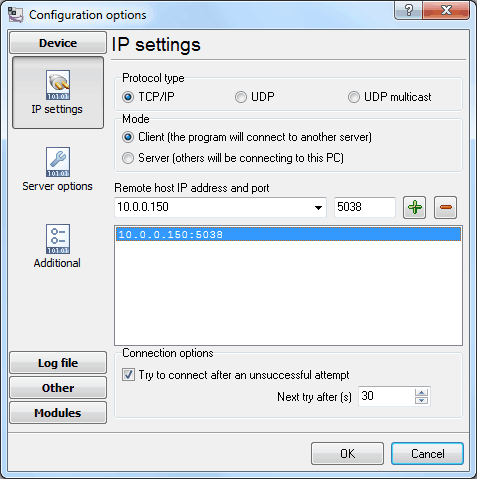 This is the IP address of the computer with Advanced PBX Data Logger. Therefore this computer must have the static IP address. Only the specified computer can use the AMI interface. 5. Save the changes, but do not apply the changes yet. 1. Open any telnet utility with SSH support. We recommend to use PuTTY. 2. Connect to your PBX. 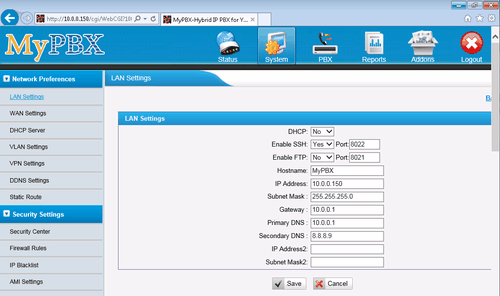 Use your PBX IP address and the SSH port from "Step 1". 3. Login as root. The default password for root is ys123456. 4. Type in the command prompt cd /persistent/var/lib/asterisk/db/custom-cfg/ to change the current directory. 5. Type in the command prompt vi manager_custom.conf to open a simple editor. 6. In the editor you must add 2 new rows (see below). Note: you must specify the user name from "Step 2" in the square brackets. 7. Press the <ESC> button and type :wq to save the changes. The corresponding file must be on the PBX. 3. Save and apply the changes. 1. The logger should work in TCP client mode. The PBX being in permanent listening on port 5038, therefore you need to specify x.x.x.x:5038, where x.x.x.x should be the IP address of your PCX (e.g. 10.0.0.150). 2. 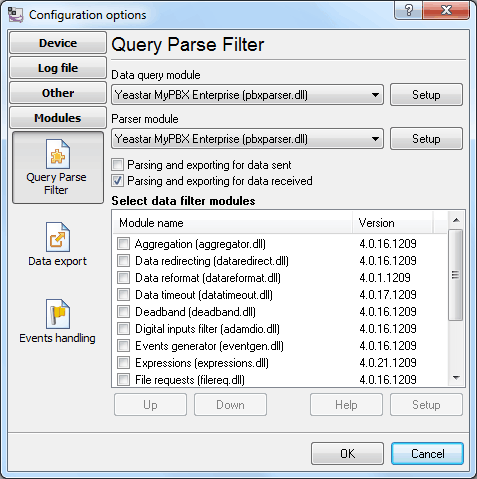 Select the corresponding data query and parser plugin. 3. Click the "Setup" button near the "Data query" box. 4. Specify your login and password. 5. Clock "OK" and save all changes.